John D. “Jack” Roberts was born in west-central Los Angeles, Calif., where he described his family's circumstances as upper middle-class until the Depression hit and his father lost his business manufacturing furnaces. As a child, Roberts cultivated his interest in science by reading books about famous scientists, helping his teachers set up demonstrations, and attending open houses at the nearby California Institute of Technology. Roberts set up labs at home using supplies from his high-school storeroom, including a Tesla coil which, as he recalled, caused radio interference and bothered the neighbors. Though he had hoped to attend Caltech as an undergraduate, Roberts chose instead to enroll at the less expensive University of California, Los Angeles (UCLA). Even with the much lower tuition, Roberts still worked at a bakery six days a week to cover his expenses until he was offered a research job during his sophomore year. Because UCLA did not have many graduate students at the time, Roberts had the opportunity to work closely with many professors doing advanced work. He learned how to write properly and how to create technical drawings, served as a teaching assistant and published papers. After graduating in 1941 and spending one semester as a doctoral student at Pennsylvania State University, Roberts returned to Los Angeles where he married his high school sweetheart, Edith, and joined a lab at UCLA. Roberts’ early work was in making chemical compounds to support the war effort, but when the war project was dropped, he began his graduate work. 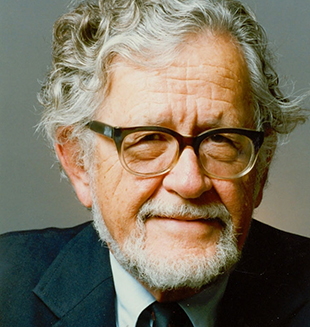 Upon receiving his Ph.D. in 1944, Roberts attempted the Northeast a second time--he and his wife moved to Boston, Mass., where he worked as a postdoctoral fellow at Harvard University and she continued her career in insurance. Roberts accepted an assistant professorship at the Massachusetts Institute of Technology (MIT), where he remained until returning once again to Los Angeles in 1953, this time to join the faculty at Caltech. 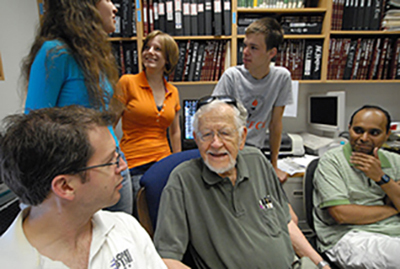 Roberts’ influence was quickly felt at Caltech. Upon his arrival, he insisted on bringing with him a female graduate student from MIT, convincing the chemistry department to change their all-male admissions policy in a matter of months. He persuaded division head Linus Pauling, a fellow Medal of Science recipient, to purchase expensive nuclear magnetic resonance (NMR) equipment, which revolutionized the way chemists studied molecular properties. He also authored several chemistry textbooks, including “Basic Principles of Organic Chemistry” with Marjorie Caserio in 1964, which his colleague Harry Gray described as “the landmark text in organic chemistry in the last half of this century.” At one point in his career, Roberts held the titles of vice president, provost and dean of faculty at Caltech--all at the same time.